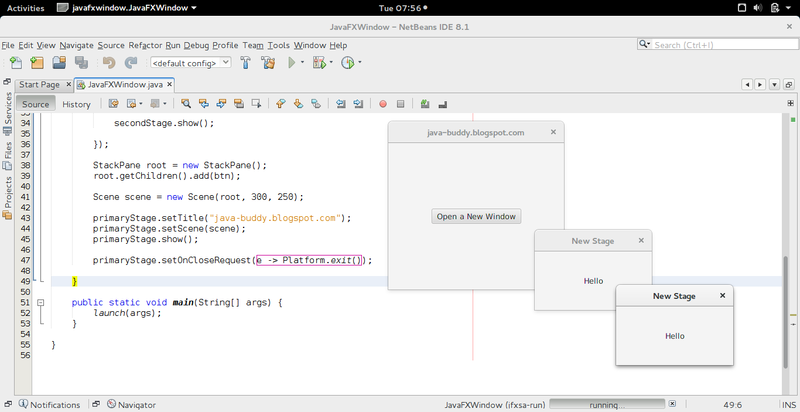 JavaFX example to open new Window, and exit all when primary window close. You forget to use setOwner like Adobe Air has multiple windows if you close primary window when all second window will exit since your click to primary window. 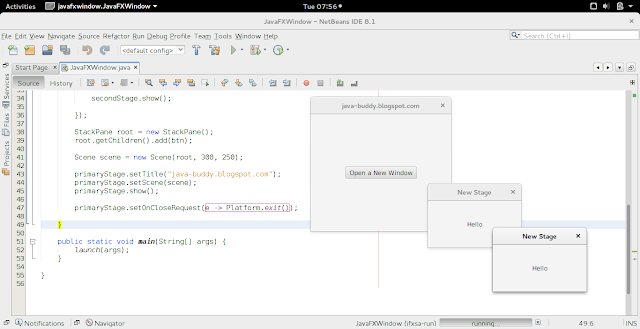 I don't know if JavaFX has setOwned or isOwned from Stage class.